Google Home is a brand of smart speakers developed by Google. The first device was announced in May 2016 and released in the United States in November 2016, with subsequent releases globally throughout 2017. Google Home speakers enable users to speak voice commands to interact with services through Google’s intelligent personal assistant called Google Assistant. A large number of services, both in-house and third-party, are integrated, allowing users to listen to music, control playback of videos or photos, or receive news updates entirely by voice. Google Home devices also have integrated support for home automation, letting users control smart home appliances with their voice. 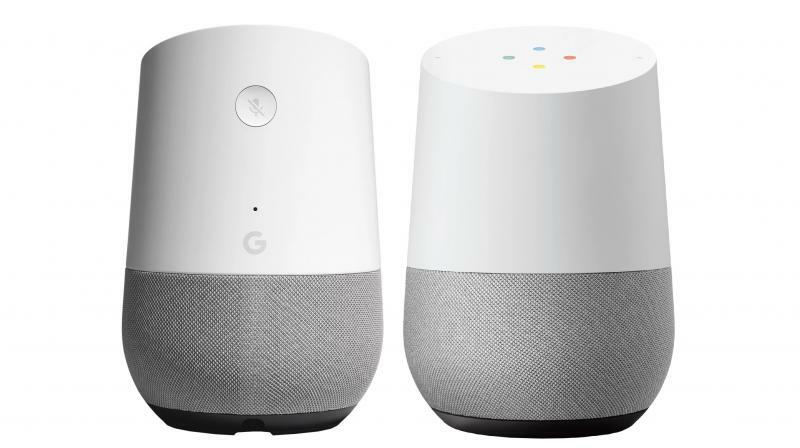 Multiple Google Home devices can be placed in different rooms in a home for synchronized playback of music. Hey Google, how do you say “see you later” in German? Hey Google, what time does the grocery store close? Hey Google, what is a good substitute for cardamom? All right, your playlist called Rise and Shine. Playing on Google Play Music. Hey Google, when’s my first event tomorrow? Hey Google, are the lights on? Help comes in different sizes. Built for sound, inside and out.